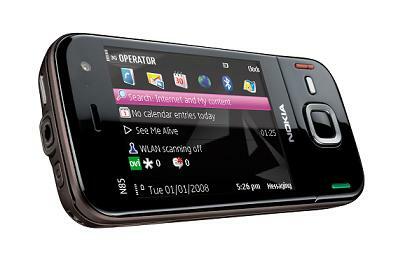 Nokia’s Nseries gets two new additions today in the form of the multimedia packed N85 and the nicely styled N79. The duel sliding N85 has been designed with the avid gamer and multimedia user in mind and will apparently ‘set new standards for mobile entertainment, gaming and sharing’. This explains why it’s packed with N-Gage gaming (ten to be precise and a voucher to activate one full game license), music with built-in FM transmitter, and a 5-megapixel camera complete with Karl Zeiss optics and geotagging. That’s not all folks, GPS with turn-by-turn voice navigation and speedy connectivity (3.5G HSDPA) has also been throw into the mix. With an impressive 2.6 OLED screen, the N85 has a faster response time, won’t guzzle as much power and has a faster refresh rate. You’re also provided with an 8GB memory card to fill your phone with multimedia goodness. Expect to see it in October when it will retail for around £360 and ‘redefine the mobile experience’ (according to Nokia). Its stylish candybar sidekick, the N79, features very similar specs – minus the OLED screen. The main difference between the two is the emphasis on style rather than functionality. The N70 sees the return of Xpress-on covers, which as if by magic will automatically display matching screen themes – great for the style conscious. Nokia aren’t being as generous with the memory card on this one, but at 4GB, it’s still a useful amount of storage. 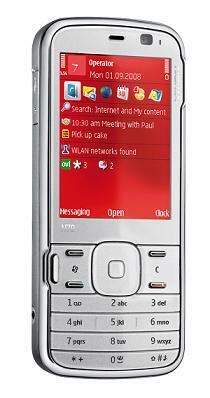 The N79 is expected to retail for around £280 and will join the N85 on the shelves in October.